'In This Place' traces the lives of my late sister’s family and offers a broader commentary on environment, opportunity and social inequality. 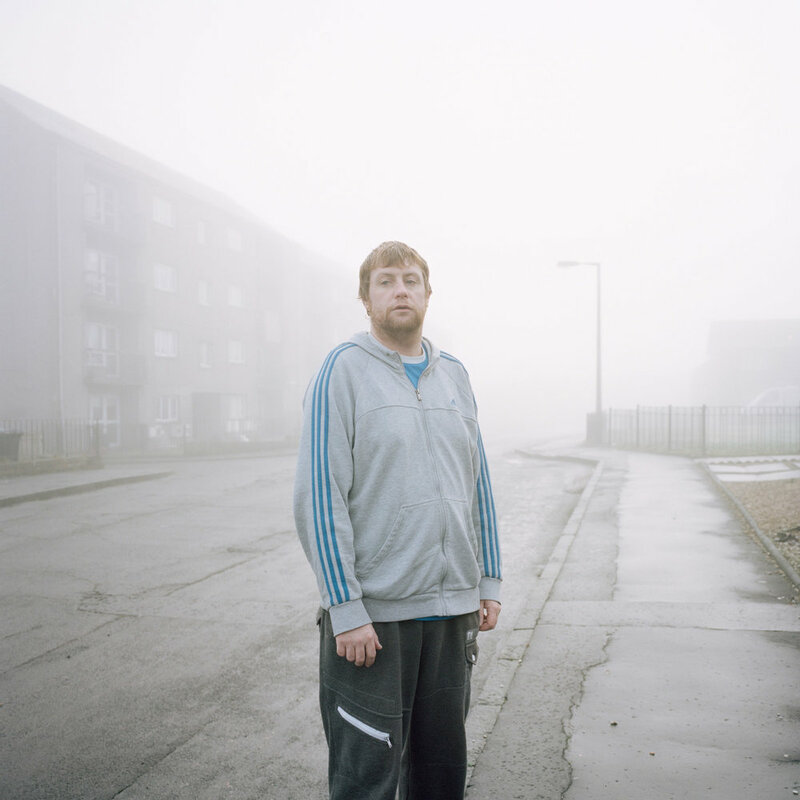 In This Place’ looks at family and home, connections and place, raising issues of social and personal inertia. Covering both personal and social geography, the series asks questions about how society operates, about environment, opportunity and inequality. Whether the choices we have in life are ultimately predetermined by upbringing, locality and socio-economic position. Over 20 years after the first project, Family (1994), this work revisits my sister’s three children—Steven, Kellie and Chick—and updates the story of where their lives have taken them in adulthood. 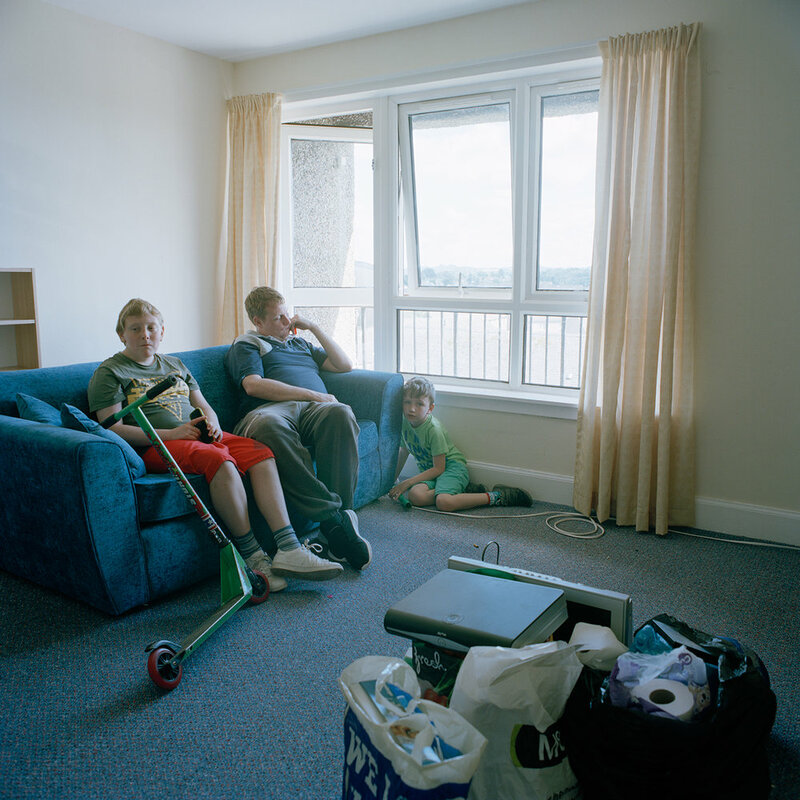 The photographs trace the story of their present-day lives and that of their own children. 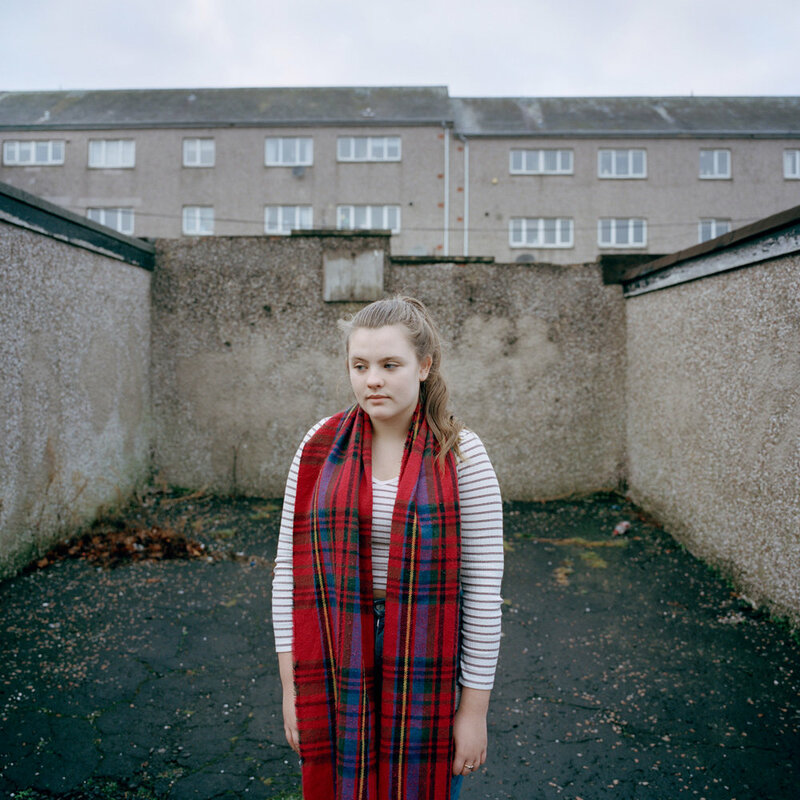 In the intervening years, their mother has died, and all the children from the earlier project have moved from one estate in Stirling poised to undergo urban regeneration to another, living in pockets yet to be touched by redevelopment. ‘In This Place’ raises questions about choice—do we have choices in life, or are some predetermined and made for us? It becomes clear that a ‘place’ can be both mental and physical; a place we put ourselves and where we are put, sometimes by others and sometimes by circumstance. Being told what we can and cannot do, what we can and cannot achieve. From society, from family, from self. 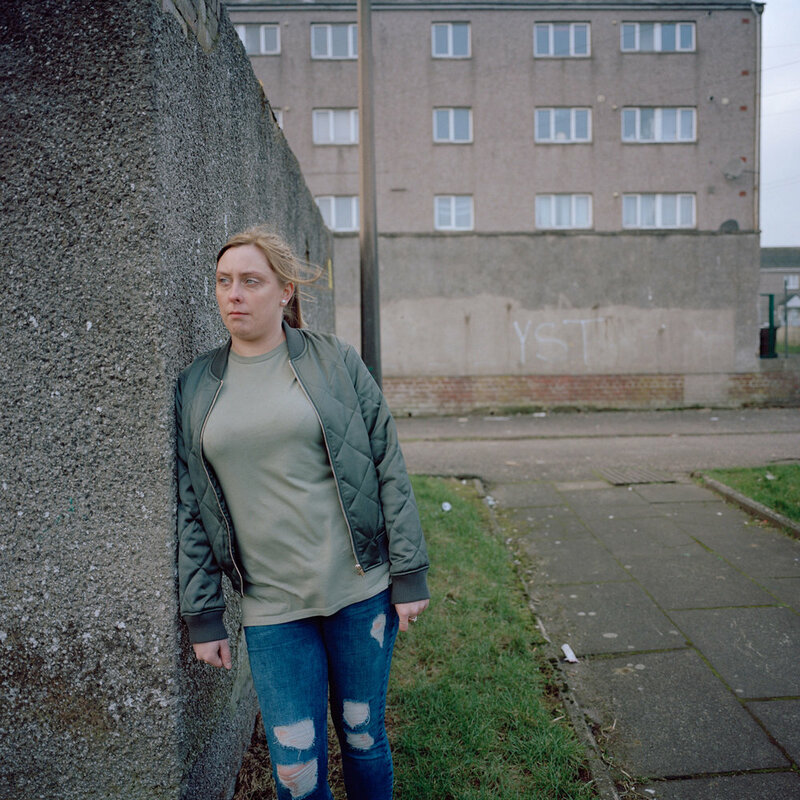 Life feels somewhat static in the housing estates of central Scotland; as the world changes, the lives portrayed here remain relatively still and immobile. Within this social landscape, movement has occurred—but only from one area that scores high in government statistics on deprivation to another. A simple bus ride across town. Through parental loss and limited opportunities, a glue binds the original three siblings together, intertwined and interdependent as they were as children in 1994. Through this personal geography of one family, the social impact is evident. Choice is not equal for all. 'The stand out work is Margaret Mitchell's In This Place, an intimate family documentary that also relates to huge social and political questions. Stunning environmental portraits balance vulnerability and strength, and interior and exterior details of their homes reveal a sense of stasis, alternating between frustration and acceptance. A limited edition newsprint publication accompanies the work, and gallery visitors who don't at least flip through it are missing out. 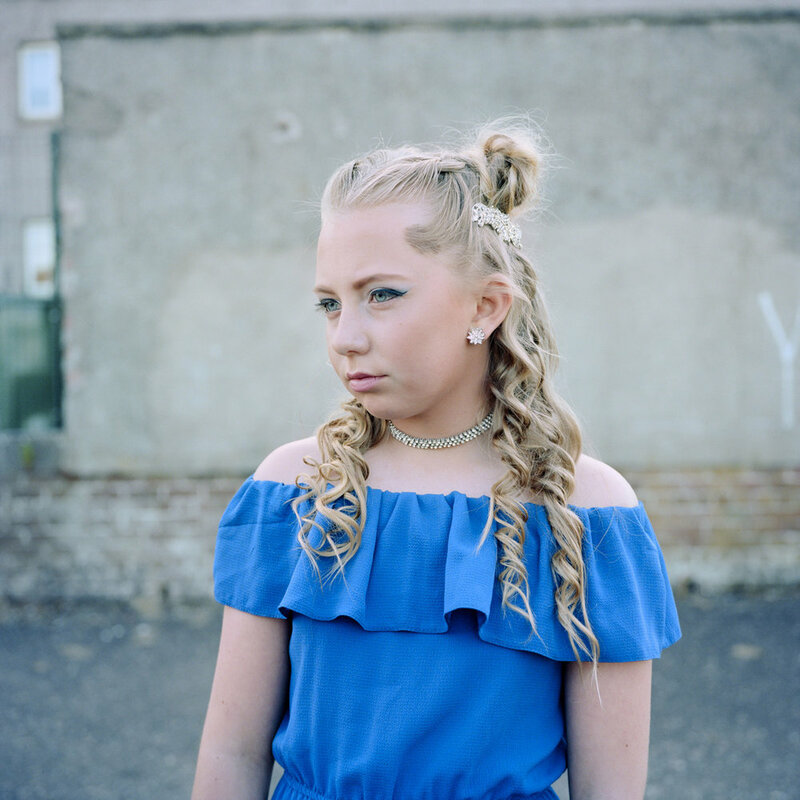 Clare Samuels review of Ambit: Photographies from Scotland on Photomonitor.